A loan of $700 helped to buy more phones rechargers in order to strengthen his business. This is 35-year-old Mohammed. 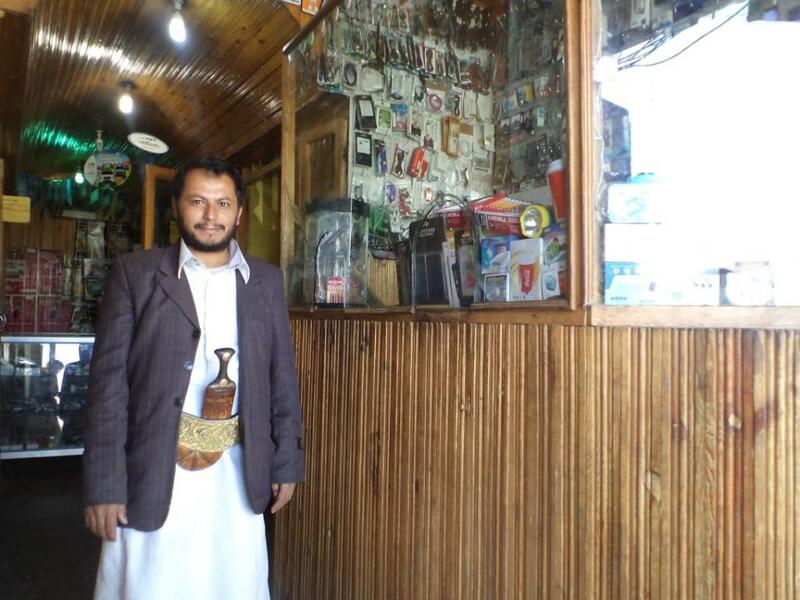 He is a married man with five children, living with his family in Sana'a, Yemen. Mohammed has a university education. Unfortunately, he couldn't find a job to look after his family. In 2010, Mohammed started his own business through opening a phones and accessories store. He decided to begin this business because he realized that it would be profitable due to a new settlement area. His business is located in a good area of town and his main customers are the public. He works 6 days a week and 12 hours a day and gets support every month. Recently, Mohammed has earned good profits. Unfortunately, most of what he earns goes to the expenses of the family. On the other hand, Mohammed wants to enlarge his business. As a result, Mohammed applied for a loan of 150,000 YER to buy more phones rechargers in order to strengthen his business. He hopes that this loan will increase his stock, result in more customers, and earn a higher profit. In the future, Mohammed plans to get a bigger store to supply larger quantities of goods. He thanks you for your first support. This loan is governed by Islamic lending principles. Because Islamic Law prohibits the charging of interest, Al-Amal is charging 0% interest on this loan. This is a Murabaha loan, which means that Al-Amal purchases goods for borrowers and charges a fee or mark-up. Click here to learn more about this loan type and Kiva's approach to lending in the Islamic world. 1) Due to ongoing security concerns, full due-diligence of Al-Amal was conducted remotely rather than on-site. This makes Al-Amal atypical among Kiva's Field Partners, as Kiva staff have not conducted an on-site assessment. Al-Amal's assessment included in-person meetings with the top management in other, more secure locations in the Middle East. 2) Because Yemen is a new and unstable environment, there is a possibility that future loan repayments could be held indefinitely in the country for regulatory reasons, even if individual borrowers pay back their loans. As a lender to borrowers in Yemen, you accept this additional risk. Additionally, all of Al-Amal's products are Sharia compliant and customized for its Muslim clients. Most of the loans are structured as Murabaha interest free loans. Al-Amal purchases goods for its borrowers and charges them a markup or fee. Al-Amal is also experimenting with Ijarah loans (an Islamic leasing product). For more information on Islamic microfinance, please click here. With the civil war ongoing in Yemen, please be aware that lending to Al-Amal loan carries an elevated risk. Al-Amal has seen the delinquency levels in their portfolio rise as violence continues and economic challenges grow. We've also defaulted loans to Kiva borrowers who have been impacted by the war and unable to repay. Despite this reality, we continue to support Al-Amal because we believe strongly in the impact lenders' funds are having. Al-Amal is focusing on posting loans to Kiva to help small businesses recover or to help families cover essential expenses during the war. These loans have had a low delinquency rate since the start of 2017, but lenders should still be aware of the inherent risk in lending in Yemen at this time. Al-Amal Microfinance Bank (AMB) was the first regulated microfinance bank in Yemen, and it was founded on the principle of financial inclusion for all, particularly the country’s unbanked young people and women. Currently, AMB is the only bank in Yemen offering all Islamic financial products, including credit, savings, insurance and transfers. Kiva's support of this organization helps it grow in a country where financial offerings are limited and borrowers face many challenges.